The Cubs have been in contact with the Orioles about closer Zach Britton, Bruce Levine of 670 The Score reports. Padres closer Brad Hand is also on the Cubs’ “wish list” for potential bullpen upgrades. At first glance, the relief corps doesn’t stand out as a glaring need for Chicago, as the Cubs’ relievers have posted generally strong numbers overall (aside from ranking 29th amongst bullpens in BB/9). Brandon Morrow has quieted the critics by pitching very well as the Cubs’ closer, and he has also been generally healthy, spending only a 10-day minimum stint on the DL in June due to back spasms. Still, even the most loaded of teams will still scan the market for an extra bullpen arm, and the Cubs have a particular need for ninth-inning depth given Morrow’s lengthy injury history. It’s worth noting that Chicago has yet to use Morrow on three consecutive days (though he has pitched three times in four days on multiple occasions), and only one of his 35 outings has been longer than an inning. Morrow is signed through 2019 with a club option for the 2020 season, so adding Hand (signed through 2020 with a club option for 2021) would give the Cubs with a long-term back-of-the-bullpen tandem that would rival any in the game. Britton is only signed through the remainder of this season, and thus would come at a lower price tag in trade talks, though there is enough interest in his services that the Orioles can ask for a healthy prospect return. Chicago is one of eight contending teams who have checked in on Britton, according to Levine. We already know the identity of some of these other teams, as past reports have linked the Red Sox, Yankees, Indians, Astros, and Phillies to Britton’s market. Hand has also drawn attention from other teams, with the Yankees also known to have interest in the left-hander. Britton didn’t make his 2018 debut until June 12 due to offseason Achilles tendon surgery, though given his track record, he only had to show that he was both healthy and reasonably effective to earn himself a spot as one of the deadline’s most sought-after trade pieces. Through 14 2/3 innings, Britton has a 3.68 ERA, 7.98 K/9, and 62.2% grounder rate, with a hefty 25% homer rate and a 5.52 BB/9 standing out as red flags. He has thrown scoreless outings in 13 of his 15 appearances this season, with all of his six earned runs allowed coming over two rough outings (and 1 1/3 innings) against the Braves and Mariners. It’s hard to really pass judgement based on such a small sample size, though Britton has at least looked solid, if obviously not at the level of his past dominance from 2014-16. His average fastball velocity of 94.3 mph is down from the last two years (when he cracked the 96mph threshold), though Britton has been increasingly throwing harder in recent outings, as one might expect as he shakes off the rust. Hand, meanwhile, has been outstanding in his second year as the Padres’ closer. The lefty owns a 3.05 ERA, 13.2 K/9, and 4.33 K/BB rate over 44 1/3 innings, numbers that just earned him his second consecutive All-Star selection. Hand’s 13.8% swinging-strike rate and 93.8mph average fastball are both career highs. I do not see the Cubs having good enough prospects to land Hand. Then Zach Britton might be the perfect fit for the Cubs. They can trade happ who is pretty valuable of the major league roster.. cubs have like 3-4 prospects that are ranked 90 to 120. They could get him no problem if they wanted. It just boils down to if they want to give up what they have for a reliever. Hahaha. The suggestion that the Cubs would trade Happ for a rental of Britton is comically ridiculous. They’d have to subtract from the major league roster for sure. Ian Happ would have to be the centerpiece in a Hand trade. Then you’d have to look at prospects like Alzolay, Lange, Little, and Miguel Amaya to round out the deal. Padres would love Happ, especially if he can function decently at 3B- Happ, Tatis Jr, Urias, Hosmer. If you think the Padres are getting all four of those for Hand, you’re dreaming very hard. I think Happ & a couple good low-level prospects could bring back Hand. I think some people believe that the Chapman deal is a realistic return for every good closer. People tend to forget the Cubs traded only Jorge Soler for a year of Wade Davis. The Cubs were a desperate in team looking to end a drought and the Yankees were holding the keys to the magic kingdom. That’s not the case anymore for anyone. Happ, Lange, Little, and Amaya would be the deal. So the goal is to only win 1 world series and call it quits and say well least we got 1? Gonna be another 108 years before cubs win it again with that attitude. They’ve already exhausted their farm for Quintana and Wilson with the hope of winning it again. Why bother wasting those prospects if youre not gonna go for it. This is why the Nationals wont win a world series. They went out, paid a heavy prospect price for Eaton, and when it came time to bolster their weakness they settled for second best pieces and it hasnt helped them this year, at all. They bargained shopped. Not at all. Its the trolls that make up the majority of the people on this board. They downvote anything that makes sense. You hit the nail squarely on the head when you said its going to take MLB talent, not prospects, as the headliner in the deal. 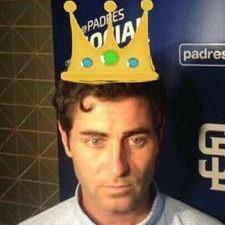 Preller has already said that and he does not have to trade Hand. He would not trade Hand for less than a guy like Torres or Acuna as the headliner of a deal last season and other teams have less leverage now. You’re dreaming if you think Hand will bring back someone like that. Pitches Love Velocity… Farm systems are not just to bring up new players. For the Cubs it’s been the currency to bring back pieces to get them to the next level. I love that Theo/Jed are not afraid to use it. There isn’t a Cub fan on earth that would second guess the trade for Chapman cause THAT was the piece they needed in ’16 and it worked. And please, if you wanna hate on the Cubs, ya gotta come up with better material than the “108 years” thing. It’s moldier than week old bread. Yep, all those 20-somethings running around with the best record in the NL…again…sure exhausted the farm. 108 years of easy jokes….this is all you have as new material? Do better. Hand for Torres or Acuna lol are you joking? Higher chance Happ is included in a deal for Hand then there is the cubs acquiring Hand without Happ. Other than Happ you have nothing teams want for their best pieces. If you want to bargain shop Craig Stammen is available. Your prospects may not even be enough for Kirby Yates. There was an article the other day on how ridiculous preller’s asking price was on Kirby Yates. I’d be looking to sell high before he turns back into a pumpkin. But, you know if not you can keep him around while you rebuild. Said a bunch of commenters (probably including yourself) about Brad Hand two years ago. Still waiting for Hand to turn into a pumpkin. Lol I have angered the red rooster… Never said a word about hand. Don’t get so defensive. Hand was a failed LH starter turned reliever. Not a 31 year old reliever who struggled his whole career. To be fair the padres aren’t a team who needs anymore mid range prospects so they might be better off waiting around to see what he has. Hand just turned 28… But agree on mostly everything else. I thought this was the most insightful post on Hand. Preller has the luxury of waiting due to Hand’s team-friendly deal. By the way… even best closer of all time (Mariano Rivera) was a failed starter and Andrew Miller etc were all failed starters. Saying a dominant reliever on a favorable contract is a “failed starter” his whole career doesn’t de-valuate his value much, at least theoretically. What matters is performance. Oh By the way, Hand is an effective lefty. owed $14M from 2019-20, $10M 2021 club option or $1M buyout. Stuff like that gets taken into account. I’m still waiting for Brad Hand to turn back into a pumpkin. Who said anything negative about being a failed starter? No one here did. My point is… Aren’t failed starters ubiquitous with relievers (usually) effective relievers who were failed starter makes no difference. You didn’t comprehend what I wrote at all then. Yates is the 31 year old reliever who struggled. Not hand. Re-read that one. I was pointing out that hand was a failed starter who excelled in his relief role. Nothing negative at all about that. 31YO relievers can work on new things just as much as 26YO failed starters. Yates went from FA/SL/CH to FA/FS this season. FS? Not familiar with that abbrev. Another year of these kinds of results would really cement Yates value though. I’m not surprised teams aren’t willing to part with what the pads are looking for right now. Half a season of excellent results is great but there’s no track record of that kind of performance. Not all that different from hand’s situation a few years back but he’s older and wasn’t converted from starting. Like I said, Padres don’t need any more mid range prospects so it makes sense for them to hold onto Yates and see if this kind of success is for real. I’m still waiting for Hand to turn back into a pumpkin. Personally, I will always disagree that you don’t need more mid-range prospects. Bieber for the Indians was a mid-range prospect with a non-descript college background. Now he’s sitting a bit higher and looks to be more than the 5 starter billing. Hahaha! You think Cubs would trade 5.5 years of a versatile starter who could be a future all-star PLUS MORE for a relief pitcher who’s not even having a great year? If Cubs want Hand it’ll be for prospects, not Happ. Don’t see the fit. Don’t see Hand going anywhere. Britton is more realistic and it could get done for a few prospects not named Alzolay. Like I said, if you want to bargain shop Craig Stammen is available. Phill Hughes too. What prospects? LOL cubs have crap for prospects. Id rather deal Hand elsewhere. Yeah Brad Hand isn’t have a great year. Holds opponents to .220/.328/.400 in medium leverage situations but .177/.264/.321 in high leverage situations. If the cubs want to go home early again this year thats their call. Hand was having a great year but has blown 3 of his last 6 save attempts giving up 8 runs in his last 9 IP. Lots of relievers have great stretches and Hand has a strong track record, but when they start to stumble… look out below. Go home early, like in…. 2008? 2017- lost to the dodgers who advanced to the world series last year instead of the cubs. Is “holding righties” to a .737 OPS supposed to be a good thing? Losing in the league championship series is not “early”. Because Hand is the only way to go? You’re a moron if you think the cubs have no good prospects. Like you’re literally a tard.. if you think only having top 100 prospects is “having good prospects.. most of the cubs best prospects are 18, 19 years old. So they wont reach top 100 for another year or so.. the cubs #8 or #9 prospect is a young catcher, guarantee you in a couple years he’ll be a top 20 prospect. A. The Cubs farm system basically just won a World Series (not to diminish the vets roles). B. You do know they get to draft more players every year, right? The Pads are rebuilding and it’s during this phase when acquiring as many prospects as possible, throwing them at the wall and see who sticks is crucial. The starters on every MLB team are not all 1st round draft picks. Wasn’t Tom Brady like a 7th round draft pick? Different sport but same concept. Prospects are rated by scouts who make errors just like every other human. Not going to take prospects. The Padres have more than enough prospects. It’s going to take a deal headlined by a young, controllable MLB position player. Britton will be just fine, two rough outings early in his return don’t mean anything. But the biggest question is, will two and a half months of him be worth what it’s going to take to get him. If you’re ONLY glaring weakness in your bullpen is too walks…. why would you trade for Britton? The Cubs have about 5 guys who have shuttled back n forth from Iowa this season. All of whom have had varying degrees of success. But there are enough arms in Chicago and Iowa where the only moves need be made, are ones of impact. Brad Hand? Maybe. Zach Britton? Hell no. And a top flight starter would be the only other addition possibly needed. They need to hope and pray Yu Darvish steps in and does a very good job in the second half. I believe Bote belongs on the big league bench. Making their biggest decisions who is more important? 5th bench piece or 8th reliever? And which guys need to be in the pen at the end of the season? Cubs need strike throwers. No more wild arms. They have their Closer already, and he’s better than either of these two guys. But keep talking trash while your team fades into obscurity as they hire some retread Manager like Girardi. “Retread Manager“? What is up with you today. 1) Girardi was fired by Jeffrey Loria after winning Manager of the Year. They didnt “can” him. They chose not to renew his contract. Big difference. Gigantic difference letting your manager go after a trip to the NLCS in a season where you weren’t expected to be there. You realize their best players are all very young right? Enjoy the anew manager…your MLB team is deliciously flawed. They should have just ponies up for Greg Holland this offseason. amirite? I think the Cubs could go for a different Padres reliever at a lower price and try to get Clayton Richard in the deal as depth for their rotation in the event that Darvish can’t return or Chatwood continues to struggle. You may be the only guy around who wants Clayton Richard as a rotation option. They have Monty to take darvish’s spot. I don’t think Richard is any better than chatwood. Richard has 11 quality starts this year, meaning he keeps his team in the game.. Chatwood has 3. Richard served as a valuable bullpen piece in 2015, and he could fill the role that Montgomery was previously filling as a swing guy between the bullpen and rotation. I’ll bite. He could grab monty’s old role. Richard eats more innings than chatwood because he doesn’t walk the whole team but I don’t think he’s a better pitcher, particularly if chatwood can fix that command halfway. Yeah I think Richards would be solid and cheap. They need innings down the stretch. Cubs aren’t making a blockbuster for a SP, Theo and Maddon have alluded to cubs struggling SP just need to pickup slack. Playoff rotation is 3 deep now, 4 if YU gets healthy. I think they’ll look at adding another swing starter/reliever and a LHP reliever. Preferably a specialist since duensing (who had that role last year) hasn’t been great. As far as rest of team, the offense could get even better, same as SP. joe has always managed big second half’s from the cubbies and I expect no less. They just need some much needed help in the form of innings for starters and relievers. Big series to start second half, here’s to hoping cubbies put dagger in cardinals and take 4/5 against STL. I highly doubt the Padres would move Richard. His value to the Padres is in bringing up the pitching prospects that will be trickeling in over the next 2 seasons. The padres hope to instill Richard’s work ethic, and locker room attitude into these young rookies. You can’t really expect a contending team to overpay for these attributes that can’t really be quantified. The Indians need relief and outfield help so. #1 prospect Francisco Majia C – #4 Nolan Jones 3rd – #7. Yu-Cheng Chang ss – #8 Will Benson Of. For. Brad Hand and Wil Myers. If they throw in Jordan lyles will you give you them Triston McKenzie as well? I was talking about the sportsnut969 post. Padres aren’t gonna devalue Hand attaching Myers. Starts with Triston McKenzie as the centerpiece for Hand. Chang, Civale, and Oviedo would round out the secondary pieces. Now they would probably include Jankowski or Pirela if youre looking for OF help. I know what you’re getting at there, cause I’d say in a vacuum, adding Myers devalues Hand, but value is different to each team. For an OF needy team like Cleveland, Myers might add value in their eyes. Not at 20 mil per. Myers doesn’t add any value To any roster at that price point. Myers shouldn’t even be an OFer. Can’t stay healthy out there either, making him a tough taget for a playoff bound club. 60-70 is a little extreme my man. Myers isn’t worth his contract but realistically he’s worth 8-10 mil per year. There’s really no arguing that. At a 10m per yr valuation that would have the Pads eating around 30. Pads may not have to eat that much if Myers keeps hitting though. Somewhere in the low 30s is the most I could see them having to eat for Myers. Don’t think they’d be too quick to do that either. If SD takes back Kipnis in the deal I saves them that contract, and in essence Myers becomes easier to take on salary wise. Myers might be worth about 8-10, but teams aren’t going to trade much for the opportunity to pay him that – especially when he can’t stay on the field. 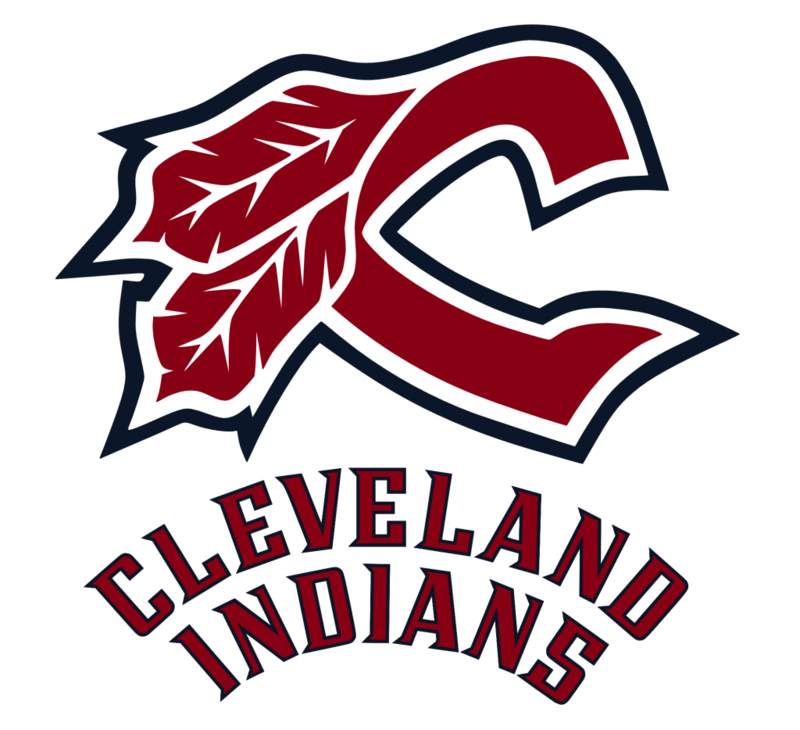 To the Kipnis inclusion idea tossed out – Kipnis is only owed 16 million after 2018, is on pace for a nearly 2 WAR season because of his 2B def, is way underperforming his xwOBA so is expected to rebound at the plate soon, and would create a big hole for Cleveland if they were to trade him without getting a middle infielder back. There really is just zero chance Cleveland especially gets Myers, and I doubt many other teams would seriously kick the tires on him either. 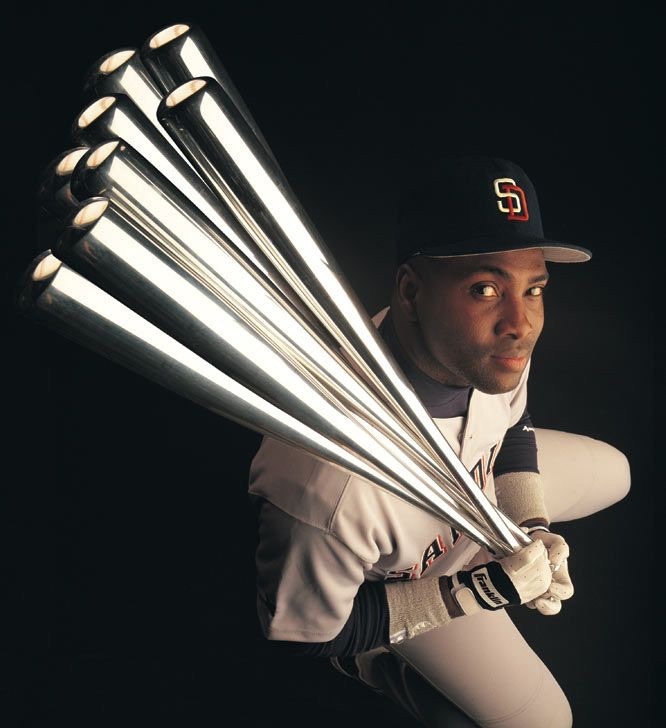 Hitting ..282/.341/.556/.897. Nope, that doesn’t add value. And Myers isn’t making $20 million, he is making $4.5 million this season and $5.5 million next season. Sometimes I wonder how people like you manage to even log into your account. Its all good Ryan. These idiots have no clue how to even look up things like how well Myers is doing right now or what he is making. He played 150+ games the past two seasons and his injuries this season have nothing to do with the hand injuries he had before. Myers has played merely about 1/3rd of his team’s games, been on the DL twice this season already, and is making 74 million over the next 4 seasons – and yet you padres fanboys are seriously so ignorant as to believe anyone will trade anything of value for him? This after guys hitting better with better track records, better health and without the massive contract commitment were going for just short of nothing last season? How about the 22.5 million dollar salary he makes the next 3 seasons? You forget those? Pretty sure the acquiring team has to pay for ALL the seasons not just this year and next. The padres would let Myers go in a half second for nothing if they could get out from Under that deal. Agreed, darkstar pads fans have become some of the worst on here now. Team hasn’t had one ounce of success yet and they act like they’re the greatest thing in the world. Pirela and jankowski outfield “help.” Indians need a capable starter not another 4th outfielder/ defensive replacement in jank. Pirela doesn’t even offer that. Smart teams will try to get jankowski on the cheap, while his true talent is probably a 85 wRC+ type guy, his defense in CF and speed give him solid value. Starting outfielder is what I meant. I don’t think Cleveland treats Oviedo as a throw in. Starts with someone on the MLB roster. Also, I would really love to keep Amaya, that kid looks like the next willson. Has a good arm and bat is coming around. He’s super young too. I hope they keep B Little. He also looks like one of the few valuable pieces cubs have to deal. Cubs have a lot of good problems to have except in prospect depth. They did go out and sign 3 top international prospects and had 3 top 80 selections in MLB draft. I think they could definitely trade Happ in a package to get hand, but Idk if you want to. How in the world do you think they can get Doolittle if Britton will cost too much? Cubs have enough for Britton for sure. Giants ain’t giving up Watson, one of our best relievers, when we’re only 4 games back in the division race. It’s like this on every single article. Fans never seem to be happy do they? In a potential trade with the Cubs for Hand, the Padres are likely going to start by asking for Happ. A prospect and/or lottery ticket could also be added, but it’s likely the negotiations will start with Happ. least we can all come to agreement: contract is a steal. Especially since felt Relievers were the only position, not affected by the “slow-offseason”. They’re in demand. But pipe down dreams about a “Chapman-like” return.. Maybe if Cleveland’s championship drought reaches 100+ years, and a Brad Hand reincarnation is seen as the missing piece. Then Yes… Maybe. Not the current version of Gleyber Torres but what he was two years ago is a completely fair ask. Again, Hand is signed for well below market for 3 years after this one. Chapman was a free agent at the end of the year and had no interest in signing an extension. Who would you rather have? Cubs fans seem to think they can trade for whoever they want while giving up nothing. It’s funny. Other teams think they can ask for the entire ball club, and give up one somewhat good player, simply because it’s the deadline. The amount of fans, from other teams, that I have seen proposing ridiculous stuff like this is off-the-charts. You should be happy if someone takes that chatwood disaster off your hands. If the Cubbies want Britton and the O’s take two 40/45 FV guys from the bottom of the top 30, then sure – you still don’t know what you are going to get yet. We ought not trade ML assets like Happ right now – certainly not for a rental. We really should target a swingman who can start if need be (someone like Seth Lugo) and a workhorse high leverage bullpen piece (like Blake Treinen or Zach Duke) who can close infrequently and be the 8th inning guy. Why not just trade Russel for Britton straight up. Orioles get a replacement for machado and the cubs get a back end reliever. Baez plays SS full time. We’re gonna go ahead and ignore that one. I’d give a detailed response to this if it wasn’t so ridiculous. No. Theres no guarantees Machado goes to the Cubs. Why trade a top 5 SS At least in the NL. for a rental. That’s just dumb. Yes you are murph. At least you recognize it. They didn’t imply that Machado was going to the Cubs. Realistically, the Cubs would have a dozen in-house answers to the middle infield if they were to trade Russell, so it’s not a ridiculous idea in that regard, but they’re not going to trade Russell, so it’s a moot point. The Cubs should make an attempt at prying a reliever away from the Yankees. The Yankees have Cody Carroll waiting for a call up in AAA. He has nothing else to prove down there and he would make another high value RH reliever expendable. Holder or Green would both be perfect for the Cubs 8th inning. Brad Hand, Tyson Ross and Cory Spangenberg for Ian Happ, Brendon Little, Aramis Ademan, Duane Underwood Jr. and Jen-Ho Tesng. Is more than realistic. What a trade like that also allows Preller to do is create room on the 40 man roster as well. That would be freeing up 2 spots to protect guys he feel he might have a chance of losing in the rule V.
The lower level guys aside from Happ that are being acquired wouldn’t need to be protected right away so it gives the Padres time to level out the system a little bit more to spread the talent around so it’s not lost at the expense of another team taking what you can’t protect. That trade does not free up two 40 man slots. I don’t know how you came to that conclusion. Happ, Underwood and tseng would replace hand, spang and Ross. I count 0 slots added. Spangenberg would be a DFA candidate by the cubs anyway. He’s pretty bad. Maybe they’d add a 40 man slot in that scenario. It’s funny you say it’d add slots because what the deal actually does is clog up a 40 man slot for next year. Ross’ lost spot will now be filled by tseng or Underwood. Yeah I didn’t realize Underwood and Tseng are already on the 40 man. Never mind. The Padres Are going to be facing a roster crunch come November when they are preparing for the rule V draft, they need to clear some dead weight/ log jams at the deadline. I think it’s safe to say guys like Jose Pirela’s days are numbered. No just no. They dont need another position player. Trading happ is dumb as well. Why trade a guy that plays 3rd,2nd,1st and all outfield spots for a below average player who is blocked by Baez and Zobrist at 2nd. I just don’t think Happ is going to be moved. I would shoot high but honestly I would be okay with Lange, Little, Bote, and a Preller low level lottery ticket. All that said I think other teams would provide more compelling returns for Hand. Good strategy. Just load the pen up with shut-em-down closers. Cishek was a former closer, and he’s been brilliant as a set-up man. Morrow has pretty much been lights out as the closer. Edwards Jr. has closer-type stuff. Add Britton, and that is one terrifying pen. No impact starters are available so it make sense to make your pen stronger. Odds are a Hand or Britton will make more of a postseason impact than J.A. Happ. I don’t know why, but I enjoy reading posts of people arguing here way too much. LaStella and a player to be named later and/or cash considerations for Hand. Let’s be reasonable here. LeStella is too valuable to trade. 1. Hes vert well liked. And hes clutch off the bench. 2. I’d rather not get any player if lestella is traded. No one other than justin Wilson should be traded from the 25 man roster. I’d like to think you aren’t being serious, but unfortunately, I’m 99% sure you are. Lol. I’m with you here Priggs. Brad Hand just blew a save vs the Cubs. I’m sure he’s normally good but us rather have Britton. As far as I know he’s another rental so he wouldn’t cost more than 2 mid level players. Maybe justin Wilson as a throw in. Asking- what do Cubs have left to trade? Bote, Caratini, perhaps Justin Wilson from MLB. That’s about it. Starters plus LaStella, Happ are safe. In minors, Lange, Hatch, Steele and maybe Amaya. Is this in any combination enough to get quality pitching in Brad Hand or someone who we rent (again) for 3 months like Britton? I doubt it. I’m with an earlier post. Think smaller for someone like Yates, Stammen from SD or Amari Garrett or Iglesias from Reds who need pitching and/or a front line catcher. RI will cost more than any of them. Iglesias won’t cost much less than Hand. So is…literally every other contending team. I’d be more than happy with Happ being the frontliner of a deal for Hand. He’s blocked in Chicago with Almora locking down center, Schwarber / whoever else they want in the lineup in left, and Heyward in right having finally remembered how to play baseball. Baez isn’t going anywhere and even if they give Russell some time off, I wouldn’t want to move Baez from second. Happ has a lot of potential, but he’s doomed to be a platoon player in Chicago. Dangle him as the biggest chip in a deal for Hand. I don’t think the Cubs have the starting pitching talent to dangle for Iglesias, but he’d be my #1 target in Magical Christmas Land. Zobrist is gone after 2019. Happ will be getting even more at bats, something he seems to get a lit of for being blocked. He can play all 3 OF spots, as well as 1b, 2b and 3rd. I wouldn’t be surprised if Zobrist sticks around for a while after 2019. The fans love him, and he loves the city and organization. The guy still can ball as if he’s 25 years old, as well. He hasn’t missed a beat. I wouldn’t be surprised if they sign him to another few years. Completely agree. There’s no future for Happ, in Chicago, as a starter. The downvote machine is running at full capacity today. I offer this post as tribute to fuel the fire. It’s fun being a fan GM, but at the same time the thing I keep seeing is the Padres want MLB ready players and having seen Preller work I think he’d prefer non-MLB ready players. Tatis JR is a good example, when the Padres got him he wasn’t a highly touted prospect, now he is. Preller can keep injecting talent into the lower levels, promoting players within and keep the wheel churning. The Padres aren’t as close as they had hoped since many of their current core probably won’t be around when they hit a winning season. You’d really do that as a Cubs fan? Am not sure the Orioles do that either honestly, even if just for Machado. Russell doesn’t have a ton of control considering Baltimore is likely looking at some sort of rebuild/longer term retool, & Baltimore would have to REALLY like Ian Happ to even consider it. I doubt the Cubs would like losing Mike Montgomery in advance of a likely pennant race to boot. I only count 5 and one is zagunis but the point remains the same. The Orioles can get more. Happ is better than Jones. Monty is more valuable to Chicago, right now, than Britton. I don’t understand the Brad Hand rumors. Why sign Eric Hosmer knowing you weren’t going to compete in 2018. But then sell off pieces that can help in the future when you’re trying to compete? Just doesn’t make any sense to me. But signing Hosmer when you had Myers already (1B only position Myers showed he could stay healthy by the way) didn’t make sense to me too. So, maybe the Padres are just a poorly ran club. The Cubs will get a SP, mainly for depth Incase the Yu injury lingers and Chatwood continues to struggle. Keep in mind that you hardly ever use a 4th starter in the postseason and never a 5th. So, Montgomery will be back in the pen, another proven LHer once the post season starts. You’ll have Monty, Wilson, Rosario and Duensing from the left, Cishek, Strop, Edwards and Morrow from the right. The pen is fine. They need to assume the worse with Yu and Chatwood and pick up a 4th starter. The offense is set, their depth is phenomenal, as Rosenthal said, simply not many holes to fill on this team. I usually agree with most of your comments, but have to disagree on this one, my friend. Duensing and Wilson are a big problem. Wilson is just far too inconsistent, and Duensing is basically throwing batting practice. They’ve got to solidify that. Chatwood needs to not ever see the mound in the playoffs, as well, but I can ride it out with him for the rest of the season, for the reason you mentioned — he’s only a 5th starter.